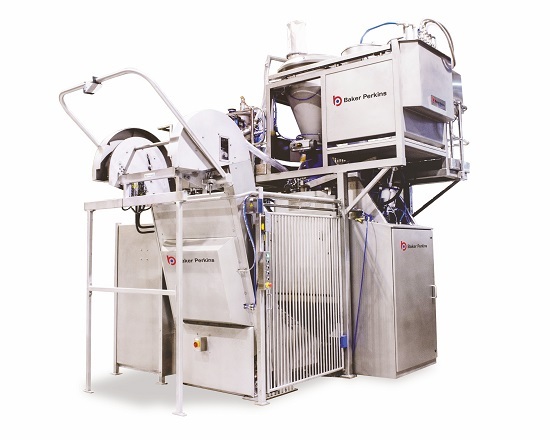 New technology that makes high-speed mixing possible in hot climates is being introduced on Tweedy™ mixing systems by Baker Perkins. The Tweedy™ SuperCool mixer combines radically enhanced bowl cooling with advanced control technology to provide precise management of dough temperature in any climate. 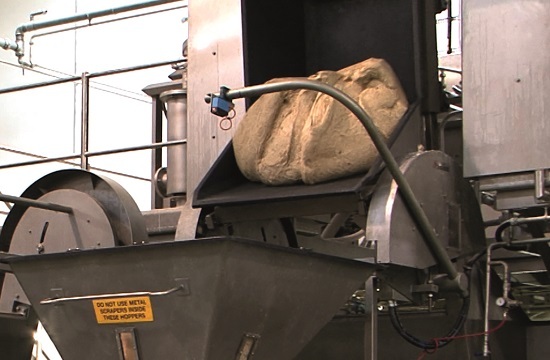 The technique features a re-designed cooling system that can significantly increase heat transfer from the dough to the cooling jacket during mixing. The Tweedy™ SuperCool is suitable for high-output plant bakeries making tin and pan bread, burger buns, rolls and pizza bases, including the sour dough, liquid sponge and sponge and dough processes. The Tweedy™ SuperCool system can also be retrofitted to existing installed mixers. Baker Perkins’ SuperCool technology enables the cost-effective and proven Tweedy™ high-speed mixing process to be used in hot climates including the Middle East, Latin America and Asia, where effective dough temperature control is a potential problem. Mixer bowl cooling is very cost effective compared to the capital and energy costs of flour cooling equipment and air conditioning. The ability to closely control final dough temperature regardless of variations in ingredient temperatures and energy levels is a major benefit of the standard Tweedy™ process. Although bowl cooling has always been an option, it has not been sufficient to avoid measures such as adding ice to the mixing bowl when the ambient temperatures are high. Baker Perkins’ specialist software measures flour and ambient temperatures and relates them to energy requirement for the mixing process, then regulates incoming water temperature and applies jacket cooling to achieve the exact dough temperature required. 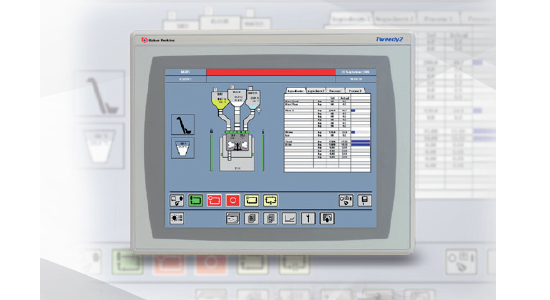 This creates complete control over final dough temperature, which is fundamental to efficient downstream handling. By adopting Baker Perkins’ SuperCool technology, bakers in any environment can now benefit from the high-speed Tweedy™ process. All the key features that contribute to precise control of the dough structure and rapid mixing times maximising consistency and quality are retained. Automated ingredient feeds and short mixing cycles minimise dead-time, while the design of the bowl and mixing tool - plus the speed of rotation - combine to produce a 3D mixing action that stretches and shears more of the dough for more of the time. The result is rapid structural development, allowing up to 12 batches every hour. As these proportions are simply altered, it’s easy to switch to a different product. Rapid product changeover is a benefit to every baker, particularly where a variety of products are needed each day. Fast cleaning times, simple maintenance, fully automatic operation and high efficiency through recipe management give the Tweedy™ a competitive edge compared to other methods of dough production. 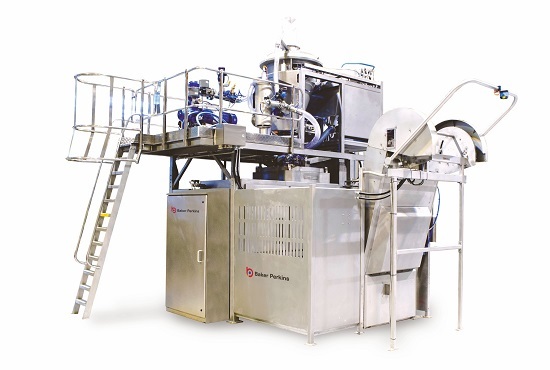 The Tweedy™ high speed mixer has been delivering quality and efficiency benefits to plant bakers of a wide range of products in many parts of the world. The introduction of Baker Perkins’ SuperCool technology will makes these benefits available to many more.